Posted on 28, February 2018 by EuropaWire PR Editors | This entry was posted in Chemicals, Netherlands, Pharma & Biotech and tagged AkzoNobel Specialty Chemicals, chromatography, drug development, Kromasil silica products, Niek Stapel, SFC, silica, Werner Fuhrmann. Bookmark the permalink. AMSTERDAM, 28-Feb-2018 — /EuropaWire/ — AkzoNobel Specialty Chemicals is extending its offering of Kromasil silica products to support a key separation process used in drug development. 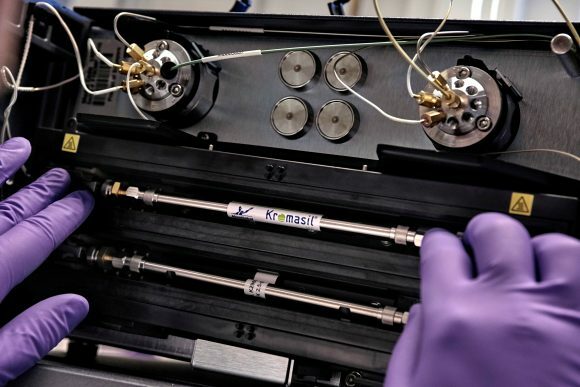 The new Kromasil line targets supercritical fluid chromatography (SFC), which has emerged as a favored drug development technology. It enables the separation of a wide variety of compounds, while lowering costs, shortening time to market, and reducing waste since CO2 is used instead of organic solvents. The new line addresses unmet needs in the SFC market and will strengthen the company’s leadership position in chromatography. Kromasil products are used by the pharmaceutical, food and beverage, clinical, and environmental industries for applications ranging from laboratory analysis up to industrial-scale purification. Kromasil allows many diabetics around the world to enjoy fuller lives by being a vital part of the purification of insulin. Click here for more information about Kromasil.